Foursquare has been teasing the fact that it was about to launch a brand new version this week, and we’ve been following all of the clues on what it might potentially entail. It seems like we were right and the new app is now available for iOS and Android. This new version of foursquare is more about finding things around you based on where you are right now. Instead of loading up the app when you arrive at a restaurant or bar and checking in, foursquare wants to be the app that you use to find new places to go. The “All New foursquare” is all about discovery. As the company states, it was launched with under the mission of “making the real world easier to use.” I would say that in its previous iteration, foursquare didn’t fully cash in on that promise. Sure, it was a great way to keep track of all of the places you’ve been and to drop tips about those places for future visitors, but it didn’t really facilitate exploration. It certainly does now, though. Foursquare says that it “ripped the app apart”, and it shows. With more of a focus on the “here and now”, foursquare could very well replace the need for a service like Yelp, which is based on reviews by people you don’t even know. Foursquare wants you to be able to access photos, tips, lists, and places your friends have saved in an easier way. Prior to this version, performing these actions took quite a few taps around the app. It was kind of like digging around on Wikipedia aimlessly, hoping that you’d find a cool nugget of information. As features have been released over the years, they seemed shoehorned in. Things like commenting didn’t really fit in, even though it’s an extremely useful function. By ripping the app apart and making the user experience more seamless, keep an eye out for more activity, such as likes and comments, crop up around the activity you take on the app. The check-in button has even been moved to be “closer to your thumb”, so foursquare isn’t dropping the focus on checking in at all, it’s making it more prominent. In addition to repositioning the check-in button, the app helps you find more places to check into, so that means that all of the data the company has collected is just the beginning of a massive database of goodies. As we’ve noted before, the addition of “Explore” on foursquare was a huge step for the company. In one fell swoop, it became clear what the future of foursquare would be, and that’s displaying all of the cool data and information we’ve given it, as well as making it useful. I have already started using Explore quite a bit instead of Google Places and Yelp, and it has helped me find some cool new spots. The Explore tab has been revamped in the app to tell you where your friends are, where the best deals are and which places you might like going to. Our data is now being used to recommend new venues to check out and check into. The neat thing about Explore is that it knows if you’re in your own city or traveling in another. By making Explore smarter, the service already becomes way more useful. Foursquare is the first app I open when I land at an airport, and it’s not usually to find a place to grab a drink, it’s to check-in. That changes starting now. Now that foursquare is putting your data to good use, it can help you find places to get what you’re craving. Based on where you are, what’s around you and your previous check-ins, the service now lets you search for specific items like “dumplings.” It’s not just going to use meta data to find dumpling joints, it’s going to take all of the data it has into account to find you the best place to go to. It’s no secret that I love looking back at all of the places that I’ve visited and checked into. I find where I went and what I did two years ago fascinating. Foursquare started surfacing that data on the web with its “History” page, but until now you couldn’t access it in the app. The all new foursquare lets you go through your entire history on the service within your profile tab. In addition, you can pull up favorite restaurants for its menu and directions. Foursquare is now cashing in on some of those promises it made about making the real world easier to navigate. It’s no easy thing to do and I really think that this upgrade is a step in the right direction. Coming up with a fantastic user experience when there are so many data points to display is not an easy thing to do, but it looks like foursquare nailed it with this release. While it’s not perfect, it seems like a framework that will be easier to iterate on as time goes by. 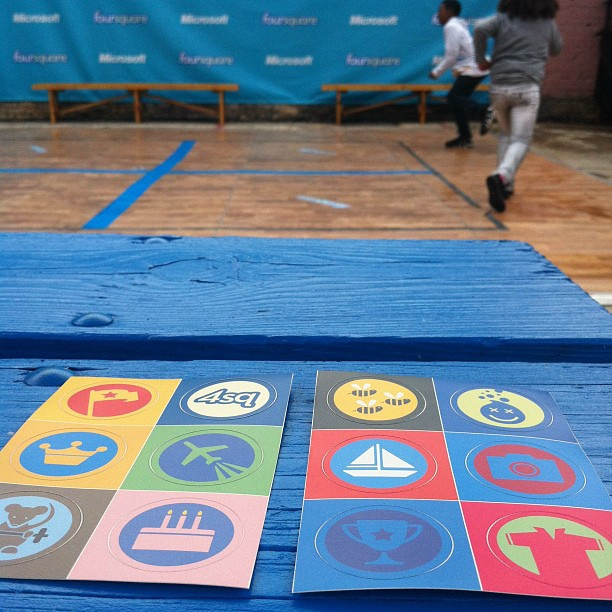 Foursquare now knows what it wants to be, and its app finally reflects that. The types of data that Foursquare possesses is more valuable than anything Instagram can come up with, by a longshot. If you’ve used Foursquare over the past few years, like some of us have, there is no current service that knows more about your likes and tendencies, especially when it comes to spending money. The last time we checked, Instagram users weren’t buying anything. I still feel that way, and I think that once you play around with the new app you might just agree. Foursquare might not be up for sale, but if it is, I’d argue that it’s worth way more than Instagram is. If only because, for the first time ever, someone can actually start using the app and not feel lost. People who haven’t been foursquare users have been afraid to jump right in because they didn’t have any information to make the experience fun. Without a handful of friends and check-ins, the app was pretty bare and boring. Since that’s no longer the case, the current 20 million userbase will grow at a rapid pace.